December 2, 2012 (El Cajon) -- Cuyamaca College, known throughout the state for its longtime commitment to the green movement, is hosting its third annual Sustainability Symposium Thursday, Dec. 13, at the college’s performing arts theater. September 30, 2011 (San Diego) – San Diegans are taking to the streets to combat rising energy costs Saturday, October 1 during the twelth Annual San Diego Solar Tour, part of the non-profit American Solar Energy Society’s National Solar Tour, the world’s largest grassroots solar event. September 7, 2011 (San Diego)--Governor Edmund G. Brown Jr. joined San Diego business leaders at Gen-Probe, Inc. yesterday to urge the state Legislature to pass his California Jobs First plan, which offers over $1 billion a year in tax relief for businesses that create jobs in the state. May 8, 2011 (Rancho San Diego) – Looking to start a green business—or find a job in a green industry? Learn the keys to success at the Green Business Symposium hosted by Cuyamaca College on May 26th. For program details and information on registration, scroll down. January 30, 2011 (San Diego) – The green economy is booming in San Diego County and California as a whole. In a new study titled Many Shades of Green: Diversity and Distribution of California’s Green Jobs, Next10.org finds that California’s green economy has boasted persistent growth and now encompasses over 174,000 jobs in the state. Between January 2008 and January 2009, the growth rate was highest in San Diego and the Bay Area; San Diego’s green jobs rate grew 7 percent while the Bay Area saw an 8 percent growth. December 22, 2010 (San Diegio) --San Diego County stands out as an established leader in California in transforming the business environment to leverage the growing clean, green-tech economy, according to research released last week by The San Diego Foundation. November 3, 2010 (Rancho San Diego) -- If you’re out of a job and looking to go green in your next career, check out the free classes being offered at Cuyamaca College. The Grossmont-Cuyamaca Community College District received a $1 million grant from the state of California and the California Energy Commission to provide the free classes to 240 students at Cuyamaca College. October 7, 2010 (Rancho San Diego) – Out of work and looking for a way to prepare for a new career? Cuyamaca College is offering free courses in landscape irrigation management and water use efficiency as part of the Rancho San Diego college’s Gateway to Green Water program. July 6, 2010 (San Diego) – Senator Barbara Boxer (D-California) has launched a “Fiorina Facts and Fiction” campaign to fight back against misleading statements made by her opponent, Republican Carly Fiorina. Independent analyses of the facts by nonpartisan groups and major media outlets support claims by Boxer, who chairs the Senate Ethics Committee, that Fiorina has distorted data on jobs, climate change legislation, and impacts of the federal stimulus bill by relying on outdated or biased sources. View a video of Senator Boxer outlining her jobs plan during a speech at the California Democratic convention. GREEN RUSH NEEDED: CAN DOERR FIND US ALL A NETSCAPE MOMENT? 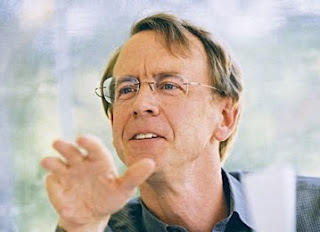 One of my favorite Venture Capitalists, John Doerr, is looking for that clean tech killer app that startles and then sends the thundering herds of start-ups across the wetland plains of Silicon Valley--that bullish scent, that feverish Valley buzz, the gridlock on highway 101--and those returns! These signals will be the hallmarks of the coming Green Rush, as it will become known, at least by me, when the clean tech sector really, really arrives in Silicon Valley and in other clean tech clusters in places like San Diego County. Read more about GREEN RUSH NEEDED: CAN DOERR FIND US ALL A NETSCAPE MOMENT? March 6, 2010 (San Diego) -- Congressman Bob Filner is among 111 cosponsors of the Community College Energy Training Act (H.R. 3731), legislation that will support community colleges as they train a new generation of technicians and other workers in America’s renewable energy industry. December 31, 2009 (San Diego) -- The Economic Policy Institute (EPI has issued a nationwide local jobs initiative called the American Jobs Plan. 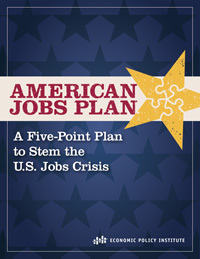 The five-point plan to create jobs for Americans has been embraced by the Obama administration following a recent jobs summit and is under consideration in Congress. October 29, 2009 (San Diego’s East County) – Students at Scripps Ranch High School will soon be learning about sustainable technology careers in the greenest educational facility in San Diego County. A model of the school’s planned Green Technology Complex was unveiled October 16 at a “Growing Green Careers” forum at Cuyamaca College. Once completed over the next year, the building complex itself will become a teaching tool—complete with interactive displays inside and out. July 28, 2009 (San Diego)--How can California achieve energy sustainability? Our state's lieutenant governor, John Garamendi, wll speak on this topic in San Diego on Wednesday, August 5 from 4:45 to 5:45 p.m. This special event will take place at the new Scripps Seaside Forum at the Scripps Institute of Oceanography on the UCSD Campus. GREEN JOBS FAIR AT SDSU AND A GREEN CITY LEADERSHIP FORUM ARE NEW THIS YEAR; EARTH FAIR KICKS OFF WEEK'S ECO-FRIENDLY ACTIVITIES April 17, 2009 (San Diego)—Earth Day Week in San Diego kicks off with Earth Fair 2009 in Balboa Park on Sunday, drawing more than 70,000 visitors. Produced by 400 volunteers, EarthFair features more than 400 exhibitors, special theme areas, a Food Pavilion, a special Kids’ Activity Area, three entertainment venues, the Children’s Earth Parade, the Earth Gallery art show, and the Cleaner Car Concourse.